Davie, Floridian is found in Broward County and has a population of nearly 99,000 residents. It's actually the largest municipality by population with the label of "town" in the state. Broward County is much larger than just Davie and a part of the Miami Metro Area. The county has a population of nearly 1.8 million people, while the Miami Metro area has a population of about 6 million residents. Even though Davie is smaller than the county and the metro area, it's still susceptible to the dangerous driving of the area. With many interstates found nearby and millions of visitors coming to the area every year, it's no surprise the roads are dangerous. Interstate 75, Interstate 595, Florida's Turnpike and Interstate 95 are all found near Davie. I-95 and I-75 are known as two of the most dangerous roads found in the country. About 26,000 traffic accidents happen in Broward County every year with nearly 1,700 as alcohol related accidents. Most accidents in the county lead to injury and about 200 fatalities are recorded yearly. Traffic accidents in Davie and in Broward County are currently on the rise. Police officers have the job of monitoring traffic and issuing tickets. If they don't do this job, these stats would be far worse. For 2015, Broward County law enforcement officers issued more than 195,000 traffic citations to drivers. Over 96,000 of these ticket were given to drivers speeding and another 15,000 were given out for those running a red light or stop sign. More than 18,000 were given to carless drivers and about 38% of the tickets issued were dismissed in the county. Do you know how easy it is to end up with a suspended license in Davie, Florida, if you don't obey the traffic rules? It only takes a few violations and you may find yourself bumming rides from friends or calling a taxi. In the State of Florida, every traffic citation comes with a specific point value. This point value is added to your driver's license. If you reach 12 points in one year, you will deal with a 30 day suspension of your license. Reaching 18 points in 18 months will give you a 90 day suspension, while 24 points in 36 months will have you bumming rides from an entire year. Considering you may receive more than one ticket with just one stop, you can rack up the points rather quickly. However, there is a way to protect your license from points if you've received a recent traffic ticket. 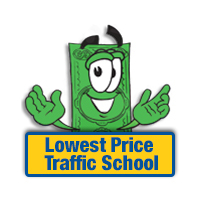 When you enroll in the traffic school online in Davie, you can eliminate points from your license. You will also be able to keep your insurance rates from going up. The class you will take is a basic driver improvement course and you can take it right online. Once you complete it, you just return your certificate of completion to the clerk of the court and the points won't go on your license. 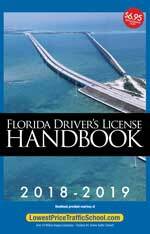 Traffic School eligibility in the State of Florida requires that you haven't taken the course in the past 12 months or more than 5 times in your lifetime. If you're not sure about your eligibility, you should check with the clerk of the court. The clerk of the court in Broward County handles all payments and questions about traffic tickets issued by any type of law enforcement in Davie, Florida. You will need to notify the Clerk of the Court if you plan to enroll in traffic school online. Find out all the necessary information you need about the clerk of the Court in Broward County by going to their website.